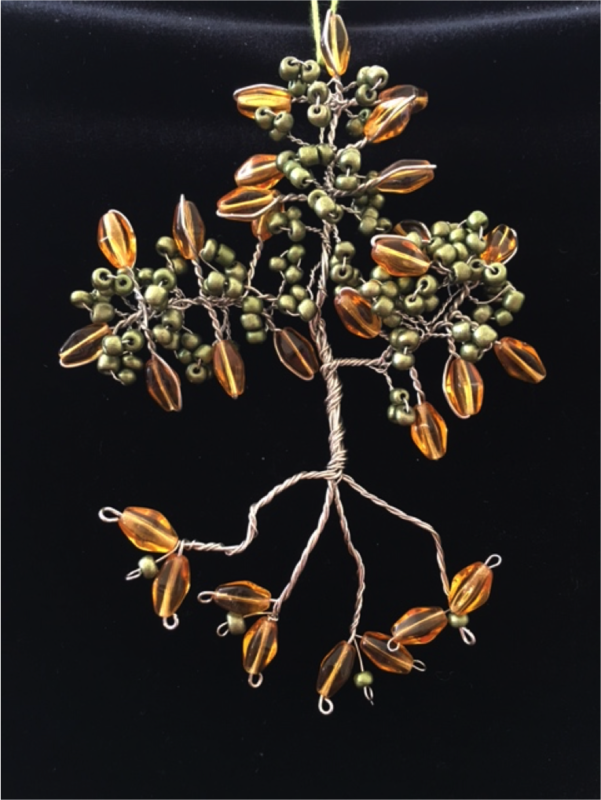 Tree of Life sun catcher for the window or decoration for a wall. Explanation: Green sustains energy for change to improve self-respect. Pearls amplify calmness. Yellow amplifies happiness with clarity and intellectual energy. The yellow beads are glass. Glass is a melding of the four traditional elements because through fire and air the silica earth element is molten into liquid only to return to its earthly state as a solid. The four elements amplify rebirth, focus and good communication.